The Cymru branch of The Wave Project began in 2014, set up by a group of volunteers. 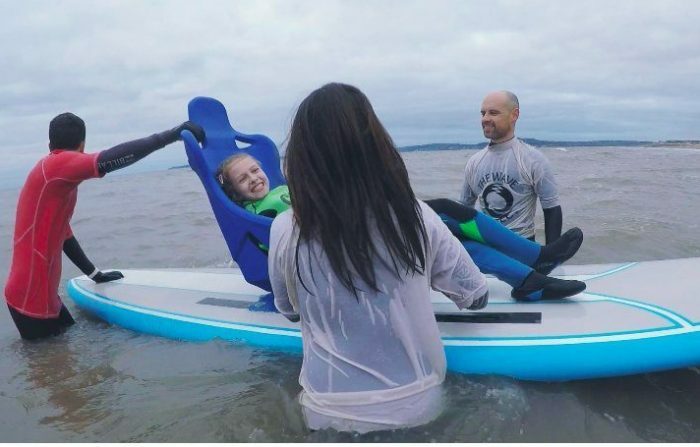 Now the project delivers evidence-based surf therapy to over 100 children and young people every year across South Wales. We work from two sites, in Porthcawl in the east and Aberavon in the West, supported by our partner surf schools Cressey’s Surf Academy and Surf School Wales. If you know someone between the ages of 8 – 21 who could benefit from surf therapy, get in touch to find out more or use the link above to make a referral. To find out about our many volunteer opportunities in Wales get in touch via the ‘Get Involved’ link at the top of this page. Everest Cymru Challenge – Check out how you can get involved with fundraising today!